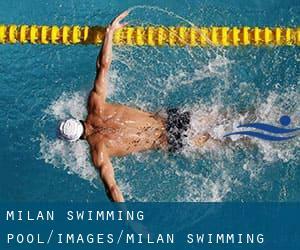 Swimia.com has one of the most up-to-date database on the internet about almost any Milan Pool. Classified by countries, regions and cities, it is painless to locate the nearest pool at the places you visit. For Milan, you'll be able to have a look at the pools we have gathered for you. 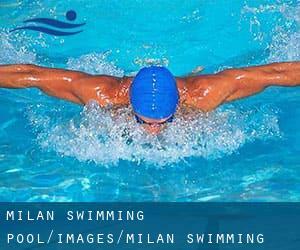 If you are looking for varieties of Milan Swimming Pool (City), it is fantastic to know countless of them belong to gyms or sports centers which also offer lessons. Get informed by calling the premises. The finest choice during your visit to Milan will be droping by a Milan Pool. Not all countries are the exact same, and swimming rules and regulations are changing from one country to the other. So, if this is your very first time looking for varieties of Milan Swimming Pool (City), be sure to call the premises before you drop by. We in all probability do not know all the Pools in Milan. Are you missing any? Contact us!. Are you a regular swimmer? Have you ever practiced Aquagym in Milan? Let us know!. One of the advantages of outdoor swimming in Milan could be the possibility to sunbathe during the summer time season. Taking it with added care, sunbathing is healthy since introduces Vitamin D into the body, so the perfect choice seems to be switching amongst indoor and outdoor pools depending on the season. Enjoy the best indoor pools in Milan and don't worry about the weather. These facilities are open all seasons and you can enjoy a swim at the same temperature every day of the year. If you're tired of possessing eyes and irritated skin, finding a saltwater pool in Milan can be the answer. You must understand that the degree of salt from these pools is well below the level of salt from sea water, specifically they are talking about a tenth or less. There are countless alternative treatments to chlorination, with wonderful advantages that guarantee better water quality in the pool. One possibility could be the mineralizer, which purifies water naturally and significantly decreases the chemicals used and maintenance time. Try Chlorine Totally free pools in Milan. There are a few factors why you must choose a heated swimming pool in Milan. Essentially the most important one relies on the importance of keeping the body temperature stable. If the water is too cold, your body will try to warm it up and you will lose strength to swim correctly. Updated on 2019 Via Tagliamento, 19 , Milan , ITALY (Postal Code: 20139). Swimmers like you reported 25 meters x 10 meters, 1.2 meters - 2 meters depth, 1.2 meters - 2 meters depth, Indoors. Unfortunately we do not have the email address of this Swimming Pool, but we can give you the phone number. Updated on 2019 via Cagliero,14 , Milan , ITALY (Postal Code: 20125). This sports center offers 22 meters, Indoors. For this Swimming Pool, only phone number is number here. Updated on 2019 Via Lamennais, 20 , 7th Zone , Milan , ITALY (Postal Code: 20153). Among all the activities offered by the center, if you are interested in swimming you may delight in 25 meters x 15 meters, Indoors. Just in case you want to contact this Swimming Pool just before dropping by, we only know the phone number. Updated on 2019 Via Lampugnano, 76 , 8th Zone , Milan , ITALY (Postal Code: 20151). Among all the activities offered by the center, for anyone who is keen on swimming you can expect to take pleasure in 25 meters x 12.5 meters, 5 lanes, 1.1 meters - 1.4 meters depth, 1.1 meters - 1.4 meters depth, Indoors. Just in case you need to contact this Swimming Pool before dropping by, we only know the phone number. Updated on 2019 Via Graf, 8 , 8th Zone , Milan , ITALY (Postal Code: 20157). Among all of the activities offered by the center, for anybody who is considering swimming you will enjoy 25 meters, 5 lanes, Indoors. Just in case you want to contact this Pool before dropping by, we only know the phone number. Updated on 2019 Via Iseo, 10 , 9th Zone , Milan , ITALY (Postal Code: 20161). Swimmers like you reported 25 meters, 6 lanes, Indoors. Unfortunately we do not have the e-mail address of this Swimming Pool, but we can give you the phone number. Updated on 2019 Piazza della Repubblica 1a , Milan , ITALY (Postal Code: 20121). This sports center delivers 19 meters, Indoors. Contact facts for this Pool just like phone number and email address are number. Updated on 2019 Via A. Venegoni, 9 , 7th Zone , Milan , ITALY (Postal Code: 20153). Among all of the activities supplied by the center, if you are interested in swimming you will appreciate 25 meters x 12.5 meters, 6 lanes, Indoors. Just in case you desire to contact this Pool before dropping by, we only know the phone number. Updated on 2019 Via Montevideo 20 , 6th Zone , Milan , ITALY (Postal Code: 20144). Swimmers like you reported 25 meters x 10 meters, 5 lanes, 1.2 meters - 1.9 meters depth, 1.2 meters - 1.9 meters depth, Indoors. Unfortunately we do not have the email address of this Swimming Pool, but we can give you the phone number. Updated on 2019 Via A. Corelli 136 , 3rd Zone , Milan , ITALY (Postal Code: 20134). Few days ago a normal user of this center told us they offer 25 meters x 12 meters, 5 lanes, Indoors. Furthermore, they keep in good conditions Olympic size x 20 meters, 8 lanes, Indoor/Outdoor. For this Swimming Pool, only phone number is number here. Updated on 2019 Via Rossetti, 4 , Milan , ITALY (Postal Code: 20145). Among all the activities provided by the center, should you be enthusiastic about swimming you are going to take pleasure in 25 meters, 5 lanes, Indoors. If you need to get in touch with this Swimming Pool, email address and phone number are both number. Updated on 2019 Via Assietta, 19 , Milan , ITALY (Postal Code: 20161). Swimmers like you reported 25 meters x 12.5 meters, Indoor/Outdoor. Phone number and e-mail address are number for this Pool. Updated on 2019 Via Sant´Abbondio, 12 , 5th Zone , Milan , ITALY (Postal Code: 20142). This sports center offers 25 meters x 12.5 meters, 5 lanes, Indoors. For this Swimming Pool, only phone number is number here. Updated on 2019 Parco Idroscalo , Milan , ITALY (Postal Code: Unknown). Among all the activities provided by the center, should you be enthusiastic about swimming you are going to take pleasure in 25 meters, 7 lanes, Indoor/Outdoor. If you need to get in touch with this Swimming Pool, email address and phone number are both number. Updated on 2019 Via Gioacchino Murat 39 , 9th Zone , Milan , ITALY (Postal Code: 20159). Swimmers like you reported 25 meters x 12.5 meters, 5 lanes, Indoors. Unfortunately we do not have the email address of this Swimming Pool, but we can provide you with the phone number.